We are honored to be featured in this recent exploration of Southwest roasters. This is our second 92-point rating, and we are very proud to be the only roasters in New Mexico who have scored over 90 points. We couldn't have achieved this kind of quality without the daily efforts of our wonderful employees, the loyalty of our customers, and of course the tremendous work of the people all over the world who grow, pick, and mill our green coffee. CoffeeReview.com is the original blind review editorial. Blind reviewing means that a team of professional cuppers tries various coffees, all brewed exactly the same way, without knowing any of the details of who produced the coffee or where it came from. Then, they average the individual scores to come up with the most objective score possible. Blind Assessment: Fruit-toned, roast-rounded. Brown sugar, cherry blossom, ripe blueberry, gently singed cedar, vanilla paste in aroma and cup. Delicate, balanced acidity; round, velvety mouthfeel. Notes of brown sugar, vanilla and blueberry carry the short finish, all of which fade with slow elegance into the long. The Bottom Line: A lovely medium-dark roasted coffee showing deep fruit- and floral-toned sweetness from aroma to finish. We're very excited about this review. It is a big deal for us. Our Ethiopia Harrar is a wonderfully-complex natural (sun-dried) coffee from the region where coffee cultivation originated. Big berry flavor and aroma, great body, bright acidity, and a leathery richness. It’s so bold and unusual–the quintessential Ethiopian coffee. 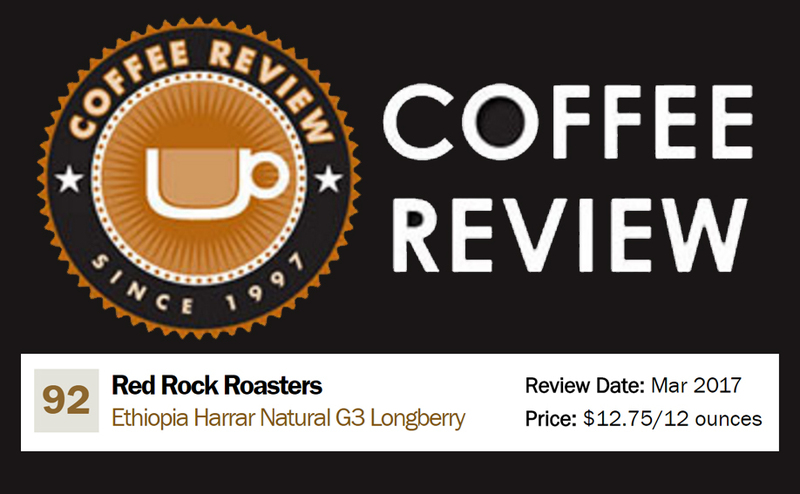 Comprises Longberry and heirloom strains, from Harawacha, Oromia, Ethiopia. We find fruit flavor development is actually better when we roast it to almost a Full city.